Homeowners are going crazy for the new homes that are being built in Muirfield Village in Edmond Oklahoma. Residents love the “Old World” charm of this luxury gated community and share their excitement for the amenities that are included. “We just can’t build ’em fast enough” says Bill Roberts of The Roberts Group. We have a waiting list of people that want to build their custom dream home here in Muirfield Village because it is so unique. With Muirfield Village, residents get the opportunity to create a home that is dedicated to their lifestyle and imagination. The Roberts Group is known for their luxury communities and attention to detail, and Muirfield Village certainly lives up to that reputation. This is the perfect place to live, where your peace of mind is top priority. In addition, all the amenities like pool, spa, fitness facilities, clubhouse, conservatory and more, are all included. As you can see, the classic and timeless design from Architect Brent Gibson makes Muirfield Village really stand out. These homes have that feeling like you’ve just stepped into an old European village with cottage style homes and French Villas. Each one of these homes is a masterpiece and can be yours. 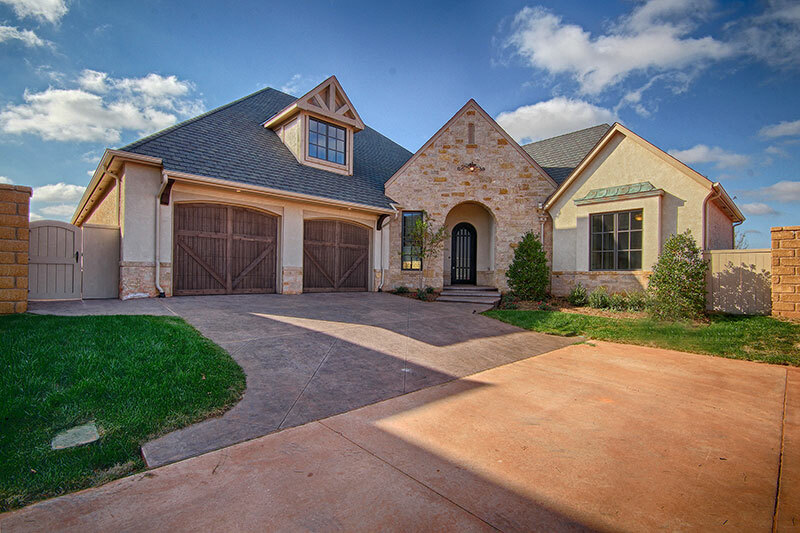 Come check out these amazing homes in Muirfiled Village in Oklahoma City and see how living the luxury lifestyle in a gated community can be yours. Call The Roberts Group today at 405-359-0275.